Selenium is an essential mineral that your body needs for a host of metabolic, endocrine and immune functions including DNA repair . Your body doesn't make it, so you must get it from diet or supplements. It is a powerful anti-oxidant and team player in the function and production of other anti-oxidants including vitamin E and glutathione peroxidase. It’s key for managing and preventing many degenerative and inflammatory conditions. Selenium Benefits for Thyroid Disease – High selenium intake, especially in the case of iodine-deficient individuals, reduces the risk of thyroid problems including goiter and thyroid tissue damage. Selenium supplementation can improve symptoms of grave’s disease (hyperthyroidism) and help prevent pregnant women with thyroid antibodies from developing postpartum thyroiditis. The best selenium sources are meat, seafood and whole grain cereals – the latter however depend on the selenium content of the soil in which they are grown. Because of this, depending on where you live, inadequate selenium can become a problem. While important not to overdose on selenium, high levels have been linked to prevention or improvement in a number of conditions including cancers, cardio-vascular disease, inflammatory conditions, thyroid problems and immune dysfunction. Selenium is a powerful anti-oxidant that is a co-factor in synthesis of glutathione peroxidase and a constituent of the sulfur amino acids, many of which are effective free radical scavengers in their own right. Selenium also improves the anti-oxidant function of vitamin E. It’s thought this anti-oxidant role is one reason why it is so effective to combat inflammatory conditions like asthma, rheumatoid arthritis and certain cancers. A 2011 Cochrane review of a raft of epidemiological studies and found a correlation between selenium intake and reduced cancer risk. Subjects with the highest selenium intakes had a 31% lower cancer rate and 45 % lower cancer mortality rate than those with the lowest selenium intakes. For bladder cancer, high intake individuals had a 33% lesser risk; for prostate cancer, the reduced risk was 22%. There was no correlation between selenium intake and breast cancer rates. Studies on selenium supplementation to prevent cancer have been mixed with some positive results linked to prostate cancer (52% to 65% reduced risk) using high selenium yeast but other studies showing no correlation. Research has confirmed selenium’s ability to repair damaged DNA as well as contribute to cell apoptosis (cell death), which may explain its preventative role in cancer. Selenium concentrations are particularly high in the thyroid gland. This may be one explanation for its beneficial effects with thyroid related conditions including, grave’s disease, goiter and thyroiditis. Selenium Benefits Primer: Symptoms of not getting enough. Selenium Benefits Primer: Why care about not getting enough selenium? Cancer especially colorectal, lung, bladder, skin, oesophageal and stomach cancer. Rheumatoid arthritis including less joint swelling and pain and fewer markers of inflammation. Selenium Benefits Primer: Who is at risk for selenium deficiency? Those who live in regions with selenium-deficient soil, which include the UK, parts of Europe as well as parts of southern and north-eastern North America. Those with digestive problems like IBS, Crohn’s disease and colitis. Selenium Benefits for Cardiovascular Health- Selenium supplementation has been found to lower LDL (bad) cholesterol and increase HDL (good) cholesterol as well as prevent blood stickiness (platelet aggregation), inflammation, and lipid oxidation – all factors in the development of cardiovascular disease. A 2006 meta-analysis of 25 studies found that those with the lowest selenium levels had greater risk of cardiovascular disease than those with higher selenium levels. However, other studies have not shown any preventative effect of selenium supplementation. Selenium Benefits Primer: How much do you need? *These figures are adequate intake (AI’s), established when there is insufficient evidence to determine an RDA. But remember, like many minerals, don’t overdo it. 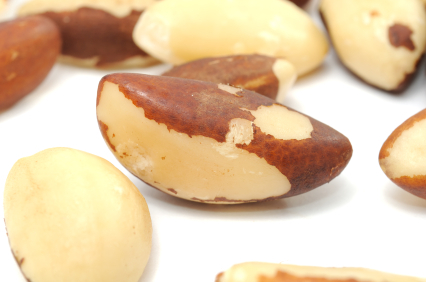 Excess selenium can lead to health problems like brittle nails, hair loss, skin lesions, nausea, diarrhea, skin rashes, mottled teeth, irritability, tiredness, and nervous system abnormalities. Acute selenium toxicity can lead to kidney failure, heart failure and death, among other nasties. The US Institute of Medicine, Food & Nutrition Board includes the following tolerable upper intake levels for selenium. *Breast milk, formula and food should be the only source of selenium for babies. Blood tests for selenium show recent selenium intake. Concentrations of 8 mcg/dL or higher in blood or plasma are considered adequate. To determine long- term selenium status over months and years, hair and nail analysis is used. Selenium Benefits Primer: So where can I get some? The top dietary sources of selenium are seafood and organ meats. Following that are muscle meats, whole grains and dairy foods. A 2010 study published in Journal of Nutrition estimated that most folks in the US get the majority of their selenium from bread, grains, meat, poultry, fish and eggs. However, along with the above mentioned staples, there are a host of other foods that can provide the benefits of selenium. Press her for a list of selenium foods as long as your arm. Selenium Benefits Primer: When food is not enough. When you can’t get enough selenium via diet; are in a high risk group for selenium deficiency or suffer a specific health condition which may benefit from addedselenium intake, supplemental selenium is an option. The main forms of supplemental selenium are selenomethionine, selenium enriched yeast, and sodium selenite or sodium selenite. Selenomethionine is better absorbed than sodium selenite forms; with the former having a 90% absorption rate and the latter a 50% absorption rate. Selenium is a common component in multi-vitamins, so before supplementing separately check your brand to see if selenium is included. Experts advise you not to supplement more than 200 mcg except with the advice of a physician. Toxic levels have been found at 900 mcg per day. Excess selenium can interfere with enzyme function as well as bone, teeth growth and liver health. Press here for more on selenium foods from which you can get selenium benefits.